Discover your inner strength while improving fitness with yoga at our Midlothian gym. Exercise your body, mind, and breath control with a practice that has been around for centuries. Yoga group exercise at American Family Fitness, taught by certified instructors, will lead you to improved strength, better flexibility, and a calmer state of mind. With several classes from which to choose, each with a varied degree of intensity, there is a yoga class to suit every member of our Midlothian gym. In addition to promoting physical strength, yoga also brings a state of relaxation like no other form of exercise. It's also a great workout for seniors and those who experience chronic pain, injury, and reduced range of motion. During yoga classes at our gym in Midlothian, expect a workout like no other. Held in our Mind/Body Studio, yoga brings enhanced relaxation, improved core stretching and strengthening, and a body awareness like you've never experienced. For an exercise option that offers breath control and purposeful movements, consider adding yoga to your regular workout routine. Bring balance to your routine with yoga group classes at American Family Fitness. 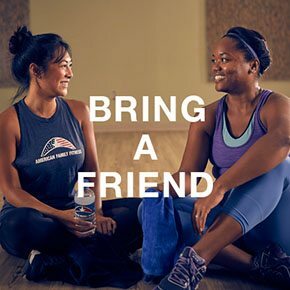 Classes include Mossa Centergy, gentle yoga (perfect for seniors), Vinyasa yoga, power yoga, yoga for athletic performance, and more. Most are 60 minutes long, but several classes run for 75 minutes. 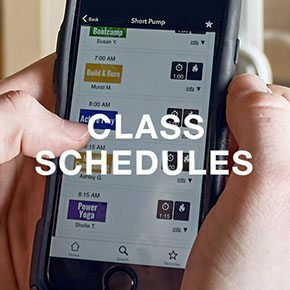 Check our Class Schedules page to find your favorite.